Need to load files, install programs or just play music from a DVD-ROM disk to your netbook? Then you need one of our brand new External USB Powered DVD Drives. and needs No Heavy or Bulky AC/DC Adapters. If youre on the road or out and about and you need a totally portable DVD-ROM drive then this is it! power your external drive from a separate USB port on your netbook. Also included small installation guide. 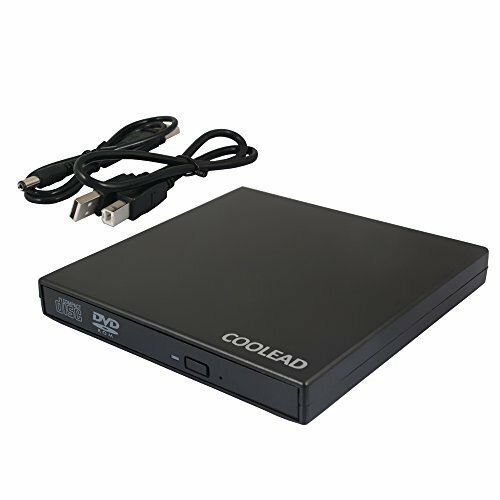 This external USB powered DVD-ROM drive will work with Microsoft Windows XP / Vista / 2000 / ME / 98 MAC. If you have any questions about this product by COOLEAD, contact us by completing and submitting the form below. If you are looking for a specif part number, please include it with your message.